Like the rest of the Huskers football team, quarterback Adrian Martinez watched bowl season from his couch. There was the FWAA naming him a Freshman All-American, something Martinez said was “an honor” for both him and his family, but he has sights set on team awards at Nebraska, not individual ones. “Ultimately, there’s more to accomplish and more that I want to do as a team. At the end of the day, that’s what matters more,” Martinez said Friday night during an appearance on Sports Nightly. “It was tough sitting there watching some of the teams we played and some of other teams around the country playing in bowl games but, again, just motivation and fuel for the fire. "There's no doubt in my mind we'll be there soon." And getting there starts now, Martinez says. Nebraska got back to work this week as early enrollees arrived and returning players got back from their holiday breaks. The next two months, according to Nebraska’s quarterback, are huge. Asked about his first year at Nebraska, Martinez said picking the Huskers was the “best decision I could have ever made.” Losing didn’t change that fact. But, Martinez brought up the team’s losses last season early and often throughout his seven-minute interview. That 4-8 record eats at him still, eats at quite a few on the team still. “It was a learning experience and a lot of lessons learned the tough way,” he said. But now those losses are fuel. Martinez said he knows how great the team can be, how many wins they should have had last season and how to make those things right this season. “Guys have to give it their all in the weight room. You have to get done what you can day-by-day. We have to get better. We have to push ourselves, push each other and grow as a team,” he said. “I think some of these new guys coming in, we have to pick them up with us and get them on the same standard. 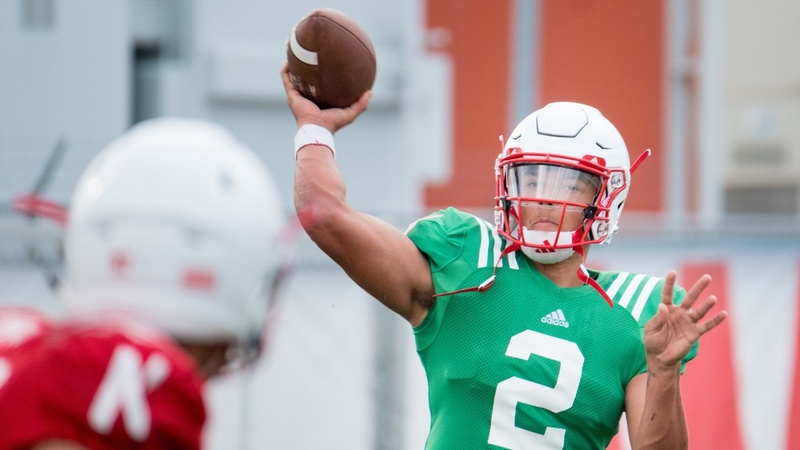 As a true freshman, Martinez played in the biggest environments he’ll play in during a regular season at Nebraska. With all the leadership the Huskers lost this offseason, he’s a prime candidate to become the guy in that locker room. That’s something he’s excited for. He stayed away from throwing during the winter break, a suggestion from quarterback coach Mario Verduzco to give not only his mind some rest but also his body. Still, Martinez worked out on his own, because of course he would. He sounds ready for a new year.